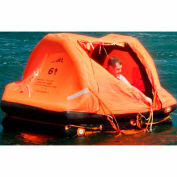 8 person pro-light compact life raft in container. Utilizing a new composite material to build strong and durable compact life rafts specifically designed for offshore use. 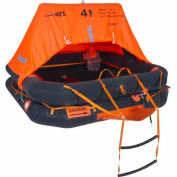 The Pro-Light life rafts comply with ISO9650-1 standard (Type 1, Group A), fully accepted by ISAF. All Sea-Safe rafts come with a 12 year warranty when serviced at least every 3 years by an authorized Sea-Safe service facility. 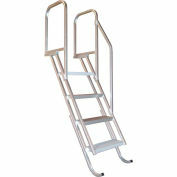 Comprehensive canopy and openings that allow easy access for boarding, spotting, fresh air, etc. All while keeping the inside dry. Natural rubber flooring is covered with a complex insulator of close cell foam coated with aluminum film to create a warm barrier between the occupant and a cold ocean.